Kitchen is the heart of every home. For kids, it’s a place where the “magic” happens and the most delicious food comes out, seemingly out of nowhere. To adults, it’s oftentimes a place of adventure or meditation. Making a meal, especially if you have some culinary skills can be an unpredictable undertaking, and various phases of preparation can calm your mind. In order to feel the most comfortable in your kitchen, it has to reflect design choices that are both visually interesting and ergonomic. 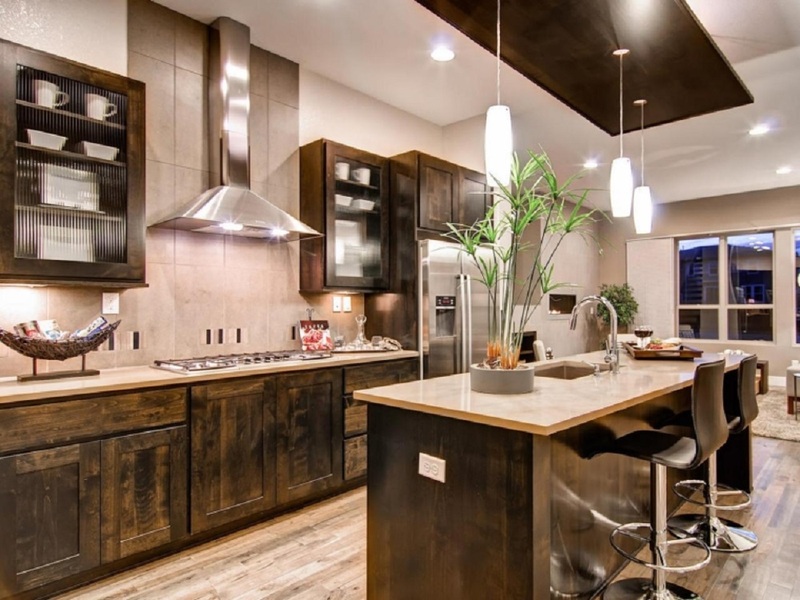 Also, what’s chic right now in kitchen design might just complement your inner chef. Ashen paint, silver varnished woodwork, gray tiles – these are the makings of a kitchen that will look good in any era, but the trend is coming back with a fanfare. Just like white, gray opens up space in a way that makes you feel you can really breathe in it, but makes it feel more grounded. Metallic elements are also something to look into – everything above the shelving could be given a layer of tasteful metallic coating which will complement the gray, and improve durability. A kitchen floor in a darker shade will create a pleasant contrast to the brighter kitchen layout. The only question that needs to be addressed here is – what sort of material should be used for your kitchen floor? No matter how you look at it, limestone is not the best choice. It’s very porous and it needs proper treatment and management on regular basis. Smooth stone or tiles are probably the best choice. They are easy to manage and even easier to clean. They are the best choice if your kitchen is a “busy crossroad”. Wood floors in the kitchen are nothing to scoff at these days. In fact, they are becoming increasingly popular and they will certainly become the trendy kitchen floor of 2017. Since dark floors are already all the rage now, choosing lacquered ebony boards is probably the most sensible way to go. But it doesn’t end there. Wood is one of those materials that come back into the spotlight of fashionable design on seemingly regular intervals of fifteen to twenty years. Also, these days, wooden kitchen shelving with a strong texture is all the rage. 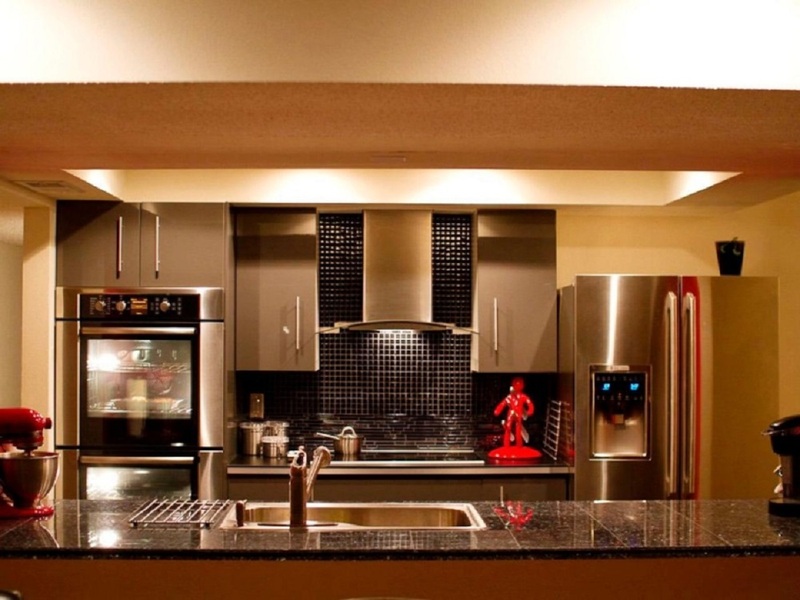 Believe it or not, the layout of your kitchen can communicate various things to various people. They often say living room should be the “warmest” place in your house, but this might not be the case. Since prehistoric times, the place where fire has burned and food has been roasted is always the one you call home. Through ancient and medieval times, these “cooking” areas were almost universally the central part of the house, both literally and socially. 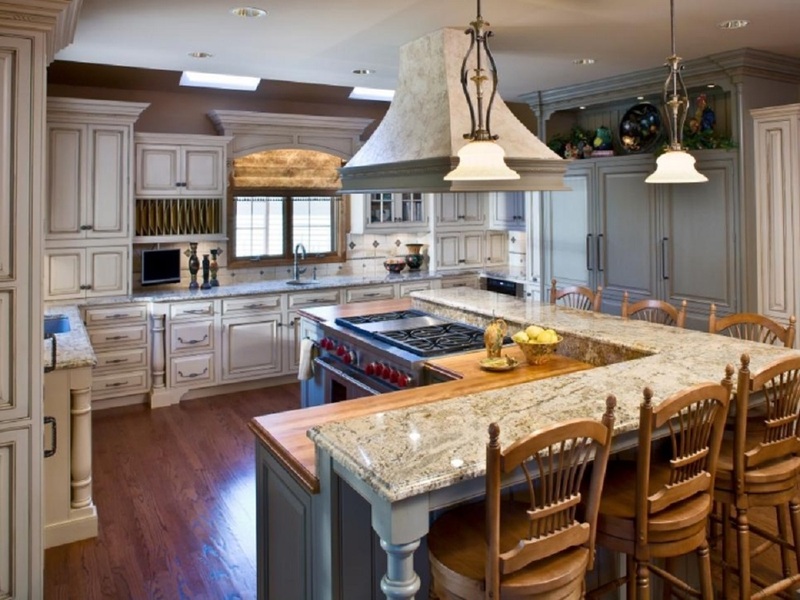 If you examine popular layouts for kitchen renovations, you won’t have a difficult time finding the one that suits you best. For example, a kitchen island is an inviting parleying hotspot, encouraging socialization, and this type of kitchen almost always ends up being the heart of the party. On the other hand, the straight kitchen layout looks more formal, but it saves space and leaves options for small tweaks and customizations open, while the corridor kitchen layout blends your kitchen seamlessly with the rest of the house and makes the cooking space feel less cluttered and more manageable. Today, we continue this tradition by making sure our kitchen space looks and feels like the most comfortable and warmest area in the household. In the end, we leave you with a small piece of advice - no matter the trends, always make sure that the kitchen design of your own choosing reflects your own ideas of comfort.